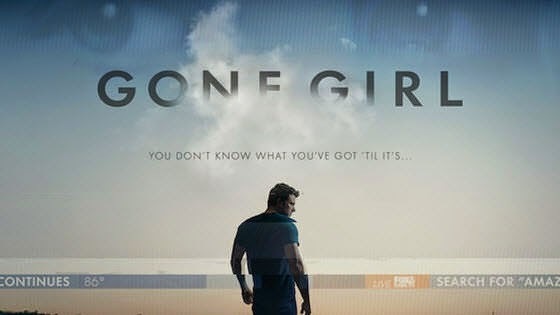 Movies Like Gone Girl (2014) '+g+"
Gone Girl is a 2014 mystery thriller by David Fincher based on Flynn's 2012 novel of the same name. The movie is about an women (Rosamund Pike) who goes missing on her fifth wedding anniversary and her husband (Ben Affleck) becomes the prime suspect for her disappearance. 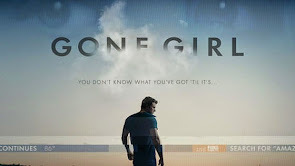 Like watching more mystery and thriller movies like Gone Girl? then check out the below list of recommendations and don't forget to mention if we missed out on any other similar movies as we keep on updating this list. Gone Baby Gone is a 2007 mystery drama by Ben Affleck based on the Dennis Lehane novel by the same name. The movie follows two Boston area detectives whose lives unravel as they investigate the kidnapping of a 4-year-old girl. Side Effects is a 2013 psychological thriller by Steven Soderbergh. The story follows Emily a young woman whose life takes a sharp turn due to the side effects of the antidepressant drugs Ablixa (alipazone) prescribed by Emily's psychiatrist (Jude Law) to treat her anxiety. Prisoners is a 2013 thriller by Denis Villeneuve starring Hugh Jackman, Viola Davis and Jake Gyllenhaal. The plot of the movie focuses on a desperate father (Hugh Jackman) who takes the law into his own hands after knowing his 6-year-old daughters life is at stake. Based on the novel by Joyce Maynard 'To Die For' is a crime drama starring Nicole Kidman, Matt Dillon, and Joaquin Phoenix. The movie follows Suzanne Stone (Nicole Kidman) a self-centered TV anchor who will do anything to be in the limelight, even killing her husband (Matt Dillon). Double Jeopardy is a 1999 thriller by Bruce Beresford. The movie follows Libby Parsons (Ashley Judd) who is wrongly framed for the murder of her husband and serving six years of prison must find her son and kill her husband for real as she can't be arrested of the same crime twice. Tell No One (2006),...if you can think of more similar films then don't forget to mention them in the comments below.